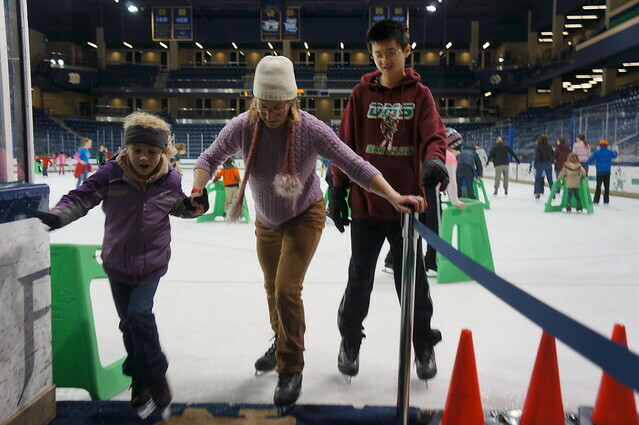 Come join us on this odd Sunday at the Compton Family Ice Arena to celebrate the holiday season from 5:00 - 7:00 p.m.
Ice time, skate rental, hot chocolate, cookies, and a visit with old St. Nick. Skates are REQUIRED to be on the ice. Price is $5 per person. Register online via RecRegister. Open to families of Notre Dame students, faculty, staff, and retirees.